The Subaru Forester is all new, and definitely improved, for the current model year. In addition to a larger, spiffier interior, the Subaru Forester is much more fuel efficient thanks to the introduction of a revised continuously-variable automatic transmission. The Forester can be had with either a 2.5-liter, four-cylinder engine (170 horsepower) or a turbocharged 2.0-liter four-cylinder (250 horses and 258 lb-ft of torque). All-wheel drive and exceptional ground clearance are standard with the Subaru crossover. 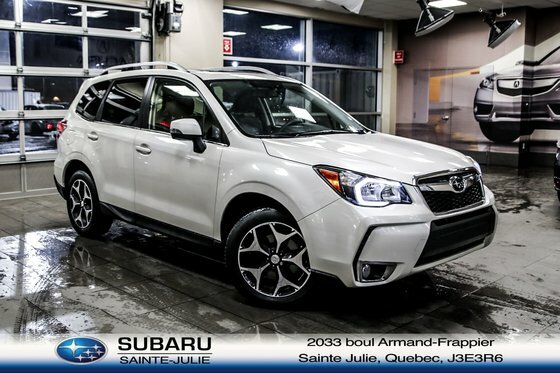 Want to try the 2015 Subaru Forester XT Limited?